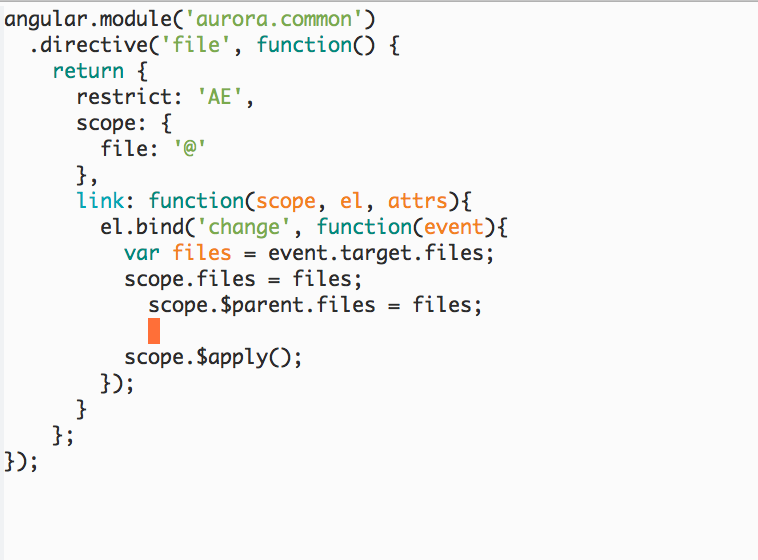 It's really sad not to write well formatted angularJs code inside emacs, the image below shows what I am saying. What is happening inside the photo is that the code is already well formatted as it is, but when I create a new line it become like the photo shows. update: what i'm expecting is auto indentation is working as the file suggesting which means if the file is indented with 4-spaces so the indent-level would be 4 spaces, if it's 2-spaces the indent-level would be 2-spaces and so on. what is set now at my .emacs file is (setq global-tab-width 2) but that doesn't work. You can also use M-xcustomize-variable to customize js-indent-level if you prefer the customize interface. How to indent SQL code just 4 spaces, without alignment &c?